This the release history for BrightWork on SharePoint 2010, SharePoint 2013, and SharePoint 2016. Note: BrightWork uses a combination of the Microsoft Office / SharePoint version and the release on that version (starting at 0), for example, 16.0 (this is the method used internally at BrightWork). The BrightWork 16.10 release is identical in terms of updates to the BrightWork 15.10 release and includes all its great new improvements. See below for details of the 15.10 release. 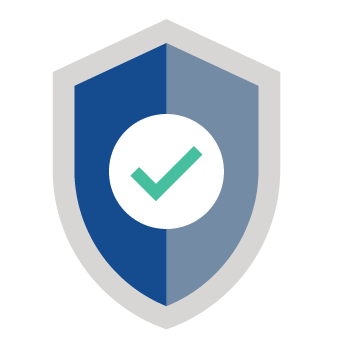 To maintain compliance with U.S. Federal and State security requirements, updates to third party libraries used in BrightWork have been applied. 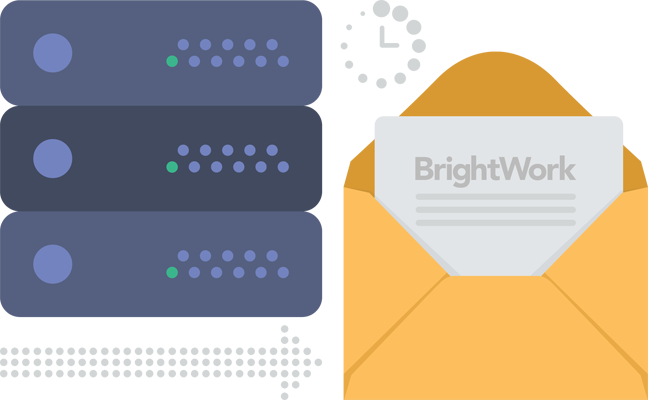 These security updates ensure that BrightWork remains compliant and secure. For this reason we recommend upgrading to this version or later. 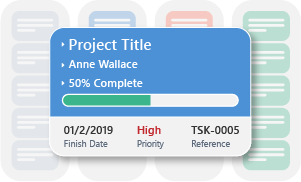 Boards have been visually enhanced and can now display one, some, or all of the following on the card; a title, a user, a date, a priority, a reference number along with a progress bar. The information displayed on the card is now automatically refreshed every time a card is dragged and dropped into a new column. Out-of-the-box themes and how the cards look within the board have been improved, in particular the Royal Purple theme's font sizes are now similar to other themes. Boards now also support items in folders. If you have a board using a list or library that includes folders, items in the folder will be available to drag and drop within the board. Finally, an issue that prevented a card moving to a new column after scrolling to the bottom of the board has been resolved. A new feature has been added that simplifies mapping a column from the Project Statement to the Project Cache. When adding a column to the Project Statement and then mapping it to a column in the Project Cache, you can now use a feature that allows you to create the mapping. Changes are applied to the global Project Cache mapping file, removing the need to edit this file manually. The mapping dialog contains a useful link to the Project Cache list (available to Site Collection Administrators only). When manually editing the global Project Cache mapping file, syntax errors can be inadvertently added. Using the mapping feature removes this risk. However, should these syntax errors occur they are now easier to debug as the Project Cache Mapping page will identify the first invalid line and character position. The BrightWork 16.9 release is identical in terms of updates to the BrightWork 15.9 release and includes all its great new improvements. See below for details of the 15.9 release. 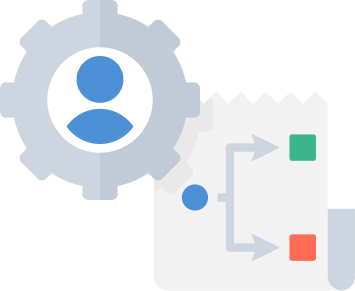 Resource Allocation is a new list in Project Request Manager. BrightWork Reporter reports on Resource Allocation lists by mapping the Project Request referenced to the report's 'Project' column. Easy configuration of project request manager to expose Resource Allocation. Resource Allocation is not in the Project Request Manager site navigation by default. Project Request Manager can also be configured to allow Resources Allocation using Project Roles. Resource Allocation items can be reported on with current project work using BrightWork Reporter. SharePoint 2010 List Workflows: new, updated and deleted List workflows in templates can be synced to a project site. 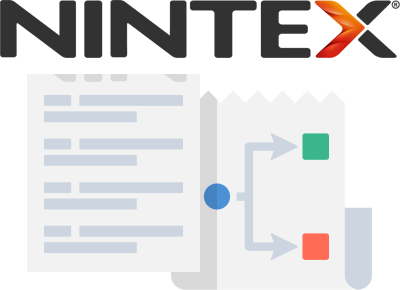 Nintex List Workflows: new, updated and deleted List workflows in templates can be synced to a project site. 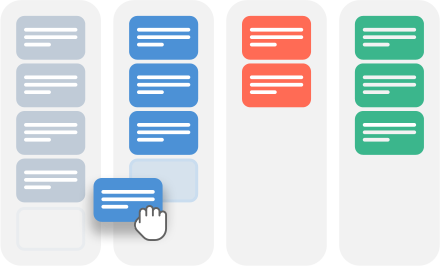 Tasks Boards have been added to the Project Lite, Project Standard and Project Structured templates. Work Board has been added to the Work Tracker. It is possible to change the column displayed on cards. Now the new column setting is retained while configuring the Board's settings. Scheduled Email: Increased the size of the font for email body text to Calibri 11. Training Zone: Project Home links are renamed now when creating the projects. Task Scheduling: When enabling task scheduling for a task list, the option to Automatically Calculate Schedule is set to Enabled by default. Web Services: Create Project Web Service now supports optionally renaming the Project Home link. BrightWork Reporter: Addressed issue with Project links for Project Tracker items opening in the same tab. The BrightWork 16.8 release is identical in terms of updates to the BrightWork 15.8 release and includes all its great new improvements. See below for details of the 15.8 release. New web part called List Board View added. This allows you to select a list and view, select a Choice column to map to each column (for example Status), and then display the list items in a board. Dragging cards from one column to another will update the item. Double clicking on a card will open it for editing. SharePoint Server 2013 Workflows: List and Reusable workflows in templates are copied when creating a project. Navigation ... and knowing where you are! 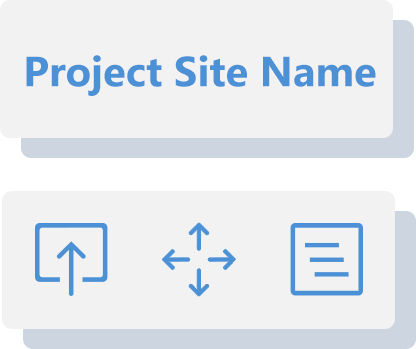 To always be able to see the project site you are in, when you create a project site the site name is added to the left side navigation (i.e. quick launch). This is optional and unchecking the option will cause the display of the default value of 'Project Home'. This feature is available through a web service and the API. BrightWork manages projects in a hierarchy. So being able to navigate around and know where you are at all times is important. Navigation has been overhauled to improve speed, discoverability, and to simplify the options. Icons are larger, clearer, and with better descriptions so people will notice them. Where am I? option has changed too. Gone is the Collapse All and Reset actions. Instead you have a new Refresh which will update the Where am I?. Where am I? will be much faster too. Results are cached locally now so you will not have to wait for the server to get you all the sites in the hierarchy each time. Can't find what you need, then Refresh. Creating a project now includes an option to include the project name in the quick launch. 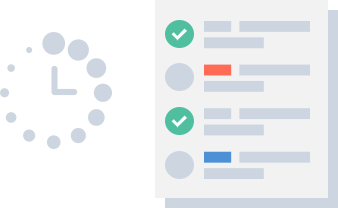 Column Visibility is now available on all lists. Chrome Date Jumps: Chrome browser users may have noticed when editing a form and using the date picker in SharePoint that their cursor jumps to the top of the page. This annoying behavior will not happen in BrightWork. Training Zone: Scheduled Report Email is enabled in the Project Area and Sample Area by default. It was already enabled by default in the Training Area. This is to encourage the scheduling of emails from sites that are high up in the hierarchy. Nintex Forms: Project Statements can now be configured using Nintex Forms. 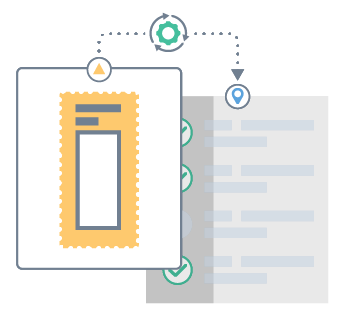 Additional Cache Column Support: the three reporting caches (Project Cache, Work Cache, and Project Status Report Cache) now support cascaded lookup columns created using the third party tool from Boost Solutions. Support for this column type was included in BrightWork Reporter using Reporter definition files already. Project Lite: the Health metric is now activated. This addresses an issue with the Project Status Report. Project Standard: Project Task lists created from the template will have their schedule calculated nightly by default. Previously this needed to be enabled manually. Note: with BrightWork 16.7 the version numbering for SharePoint 2016 has been synced with SharePoint 2013, so for example, this release is versioned as 16.7 rather than the next in sequence 16.2. The BrightWork 16.7 release is identical to the BrightWork 15.7 release and includes all its great features. See below for details of the 15.7 release. The BrightWork 16.7 release is also the release that delivers all the features added in BrightWork 15.6. The Project Status Report Cache data source is primarily designed as an alternative to 'project status report' reports that report across multiple sites. Available in BrightWork Reporter, the Project Status Report Cache data source enables faster cross-site reporting. A weekly timer job used to refresh the cache. A custom default setting that shows only the current report from each Project Status Report list. Option to turn on/off the Project Status Report Cache. Project Status Report Cache Refresh option can be accessed from the site settings page. Scheduled email resend attempts. If an email fails to send the scheduled emailer will try to resend it up to two more times, for three attempts in total. Calculate Schedule: Calculates the schedule for a task list with scheduling enabled. Move Schedule: Moves the schedule for a task list with scheduling enabled. Update Project Metrics: Runs a metrics update for the metrics list in the current project site. Refresh Project Data: Runs a refresh for the current project site with parameters. These parameters can calculate schedule, refresh metrics, or refresh the work cache. Nintex Workflow: Support has been added for Nintex Workflows with Conditional Startup Options running on Project Statement lists. Work Cache: Task lists in Project Request Manager sites which were created before the Work Cache was introduced now are included in the open Work Cache. Support extended so that unpublished Nintex Forms can be copied and recopied without impacting the forms. SharePoint Admin cmdlet added to repair lists if Nintex Forms are deleted. Reporter displays SharePoint Groups in People or Group columns when presence is enabled. Task Scheduling issue when copying and pasting tasks in a datasheet. Metric History Chart renders when no metrics are available. Metric Tiles web part, custom links now supported from web part pages. The Finish action button is disabled in Edge when creating a project, until the final step. User Access Export utility is available from support@brightwork.com on request. 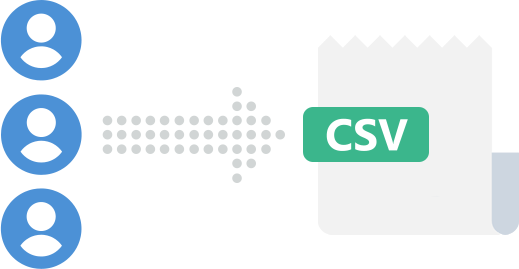 This PowerShell utility crawls through BrightWork site collections and exports a CSV file containing all users with their access levels. This PowerShell only reads data from the site collection and does not make any updates. BrightWork 15.6 is the first in a new quarterly release cadence. 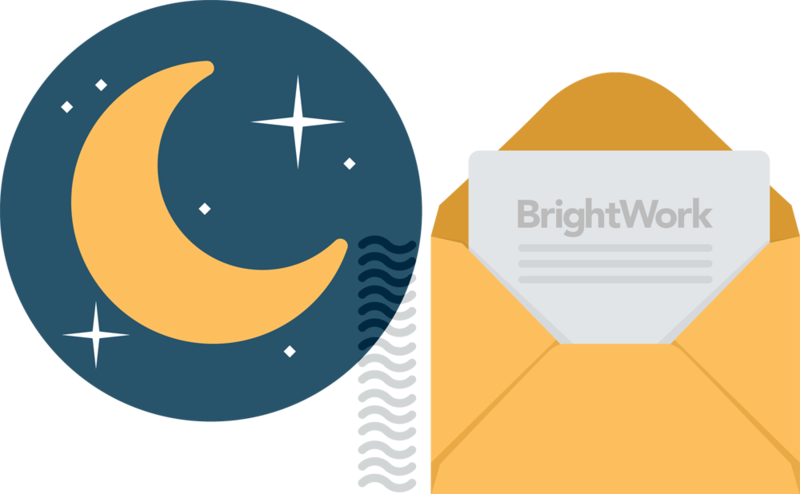 The goal for BrightWork from now on is to have smaller but more frequent updates. We're moving to this new approach so that we can be more responsive to customer needs. Nintex Forms in a site are now copied to the new site. Nintex Workflow support has improved and now also copies the "conditional start" criteria. Create a project from a template site. Create a project from an existing project site. Create a template from a project site. Create a template from an existing template site. All Nintex Forms in a template are now copied each time a template design sync is run. This resets a project's Nintex Forms to the version defined in the template. Scheduled email has been enhanced to improve scalability. Nightly scheduled emails now have performance improvements to help reduce the scheduled timer job's duration. This will be most relevant in larger server environments. Charts now support negative numbers. This fixes a regression in release 15.5. The BrightWork 16.1 release is identical to the BrightWork 15.5 release and includes all its great features. See below for details of the 15.5 release. Addressed problems of warnings in the Create Project process introduced by the January 2017 Cumulative Update for SharePoint 2016. Charting has taken another step to a better experience with new look charts. Among the many updates are more configuration options such as charts rendering in 3D or Polar. The new updates allow you to easily zoom, print and download charts. 3D style is now available with pie, doughnut, column and bar charts. Polar style is available on: bar, column, line and area. This menu is included on each chart allowing you to configure, print and download an image. For Microsoft Edge and Internet Explorer browsers to download an image, right-click and select Save picture as. Border on/off option now available. Zoom into a reduced set of values on charts and pan across them. The ascending sort order for a bar chart now starts from the bottom of the chart. Data labels are set to not overlap on charts. Legend toggle to turn it on/off. When only one Y-axis series is selected, the theme chosen will be applied to each value in the series. BrightWork Reporter, List Gantt View and List Chart View web parts now have a distinctive 'working on it' icon as the web part loads or is refreshed. This provides a smoother more seamless user experience when transitioning to a new page. 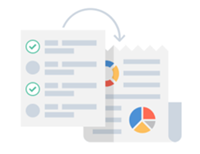 The open Work Cache data source is primarily designed as an alternative to open work reports and issues that report across multiple sites. Available in BrightWork Reporter, the open Work Cache data source, enables faster cross-site reporting. A more frequent timer job carried out every 15 minutes to update the cache. Addition of views allowing for faster filtering and response time: Open Work, My Work and Issues. Option to turn on/off the Work Cache. Work Cache Refresh and Update options can be accessed from the settings page and by selecting Project on the ribbon and then click Refresh Project Data. Addition of new views allowing for faster filtering and response time: All Projects, Open Projects and My Projects. Real-time rendering, meaning faster mirroring of data to the Project Cache. We have removed the need for the frequent 15 minute timer update job by making the queue real-time. Refresh Project Data no longer has an option to Refresh Project Cache because this happens automatically. The % Complete column's format was updated to have no decimal places by default. SharePoint administrators can create a training environment quickly and easily. We call this environment Training Zone and it includes all the out of the box templates, a Sample Area, and a Training Area. The Sample Area is where you can explore project sites with sample data. The Training Area is where you carry out your training using the linked training guides. Create Project has been updated to include more powerful defaulting. A unique URL generating from the title. The Project Manager defaulting to the logged in user. Templates/projects can load automatically when browse is clicked. Project Area level configuration settings now easily accessible. Another change made to Create Project is the introduction of a new icon for browse. All of these new updates and configuration settings allow for less clicks when creating projects meaning faster project creation. For Projects and Work Tracker projects this will open the 'Selected Project Open Work' page. For Project reports the 'Project Link' column is now called 'Project' and 'Project Icon Link' column is now called 'Project Link'. Improved grouping experience with more logical left justified placement. Removed the need to anchor the grouping to a wide column. Mouse-over title to see full title of an item. Milestones now appear at the Finish Date as opposed to the Start Date. Now support both Microsoft Edge and Google Chrome browsers. Description and Report Profiler output now appear in Print and Print Preview. Export: Renamed the Export options to more clearly indicate their functions. 'To Excel' is now called 'Static Excel'. 'To WebQuery' is now called 'Dynamic Excel', this is now the first option. 'To Xml' is now called 'Xml'. Data source selection options have changed to include the Work Cache and options to select cache views. Selecting the Project Cache no longer has built-in Shared Filters to filter to open projects. This is because there is now an option to select the Open Projects view, which is a faster alternative. When Work Cache or Project Cache are deactivated they will not appear in the list of data sources in the Reporter Configuration page. Retention Duration is the new name for Enable Caching on the Reporter configuration page. This is to avoid confusion with the Project and Work Cache features. Depending on the report or chart type selected the icon displayed will reflect the report or chart type. 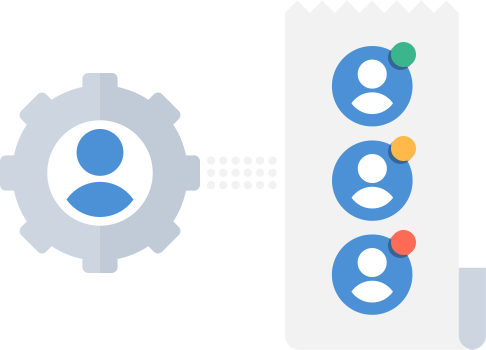 Presence on groups can be turned on and off. Reports that use a List Query Template of Default List (also known as Web Query Template) no longer have the option to select sites and sub-sites as this is not necessary for this report type. Scheduled Emails now top-align all rows as they would appear in a report. Report XML is available again as an option for the Report Scope for reports in the BrightWork Reporter Library and Custom Location. If you select a project link from a report it will open the 'Selected Project Open Work' page. Previously this opened the Project item. Project Status Charts page in the Issue Metrics web part the 'Red' label now changed to 'Late'. Health Indicator metric no longer active in Project Lite templates. Time metric now compares its value to the Planned Finish Date as opposed to Customer Required Date when determining if the project is late. Customer Required Date is no longer an Active Metric. Set Initial Dates step has been removed. The order of the remaining items has been updated, and the icons for steps 3,4 and 5 have been changed to 2,3 and 4. Project Request Management: Assigned To column is hidden when the Project Request is approved. Projects Area and Project Office: Project Cache reports updated to use new Project Cache views. Every instance of 'Estimated Cost to Complete' in metric descriptions has been renamed to 'Remaining Cost'. Task metrics across the Project Lite, Project Standard and Project Structured templates now filter out Summary Tasks when calculating. Work Tracker: this template has been updated. Due Date is now called Finish Date. The original Finish Date column has been hidden and renamed Planned Finish Date. 'Cost' calculation formula has now been updated. 'Created' column date format has been reset to the default settings. 'Item Description' has been renamed to 'Description' in the Open Work report. Project and Work Reports: Project Area, Project Office and Portfolio now have Presence turned off by default on columns. This improvement will make these reports faster. List Chart View: Processing performance ​of List Chart View web part improved for large reports. For example, we have observed an eight-fold decrease in rendering time. More robust metric ID tile validation. Scroll bars now rendering on Scheduled Emails from BrightWork. In BrightWork Reporter filtering the add new filter icon now renders when editing report filters. Help Tab now moves to accomodate the scroll bar. Added a web service around the Create Project API. This exposes the Create Project feature to tools such as Nintex Workflow. When you are selecting metrics, in-active metrics no longer appear in the list for selection. Existing Scorecards that contain in-active metrics will no longer display them. Project Status Reports now support hyperlink columns on the new Status Report form. Program Management Office: has been retired in favour of the Project Office. Existing Program Management Office sites will continue to work as normal, but you will no longer be able to create a new out of the box template in the Templates Area. This decision was made to encourage the use of the Project Office template which is the most appropriate template for this purpose. 27 reports have become completely obsolete. The reports affected are outlined in this topic. 22 Template Agile reports have become obsolete. To find out more on the affected reports see the following topic. Project Team-Roles (Unknown)\(Unknown) datasheet issue resolved. Metric History Chart: Show last number of intervals now shows the number of interval specified. Create Project: corrected on-page description. Video Panel no longer renders on the Reporter Settings page. List Chart View and List Gantt View's 'Edit CAML Filter' feature is now supported in Firefox, Edge and Chrome browsers. Filtering by People/Group columns in Reporter can now be done on Chrome and Edge browsers. Scroll bars now appear in Print and Print Preview mode on Edge and Chrome browsers. Disabled Project column sorting in Work Reports, until a more accurate sort function is available. Metric History Chart now renders Quarters and Years correctly. Upgraded Site Collections now have the correct Project Cache view filtering. Better handling of parallel Work Cache refreshes. Additional supports for Firefox browser. The BrightWork 16.0 release is identical to the BrightWork 15.4 release and includes all its great features. See below for details of the 15.4 release. The new Task Scheduling feature allows you to apply simple scheduling to your task lists. You can use the scheduler to move and calculate the dates on multiple tasks and promote data from the tasks to summary tasks and metrics. The scheduler is lightweight and easy to use, and is not a direct substitute for Microsoft Project. If you need complex scheduling, using Microsoft Project alongside our Project Structured template is a fantastic way to take your schedule management to the next level. The new Metric Tiles web part puts metrics right where you want them. Add the web part to your project to easily show key metrics and increase visibility to your team. Themes have been added to the scorecard web part. You can now pick from pre-defined themes, or simply tailor your scorecards exactly how you want. The Create Project process is now even easier to use. Projects are now created using an elegant and simple step-by-step interface. This interface can then be configured and streamlined, giving you more control over your project creation process. Charts have had some great updates! Charts now support up to 10 items, up from the previous 4. New themes have been added to make your charts shine. A new color picker has been integrated so you can tailor your charts to your exact specifications easier than ever. Charts have had an appearance improvement too and now sport a modern flat style. Chart y-axis settings now use the same format as the values if the value formats are the same. So if you use % values, then the axis stays as %, or if your values are in $, then your axis will be in $ too. The List Chart web part now has the "Enable categorization for this column" checkbox checked by default. We have retired the older BrightWork Chart Provider and now use Microsoft Chart Control by default. We have decided to retire a few older and underused templates. It wasn't an easy decision, but we feel that deactivating the older templates will allow us to focus more on our core and most popular templates like Project Standard and Projects and Work Tracker. Any projects you have that are based on the removed templates will still function exactly as they did before, but you will no longer be able to create new projects based on the templates from the site definitions. We recommend that you migrate to one of the core templates like Project Office or Project Standard for your ongoing project management needs. Project Lite, Project Standard, Project Structured, and Project Office templates have been polished and are now easier than ever to use. The "Get started with your project" promoted links have moved on top of the tabs to encourage people to remove them after initial set up. Added a Metric Tiles web part with key project metrics. Cleaned away some clutter by removing web parts like Project Name, Project Description and Project Announcements. The Project Standard template now has the task scheduler active out-of-the-box. As of BrightWork 16.0, we no longer ship non-English versions of BrightWork directly. Language translations may be purchased through our partners however. For more information, please see the BrightWork Language Partners page. Due Date has been repositioned in forms to logically come after Start Date, and terminology has been unified to globally use "Due Date" instead of "Date Due". Promoted links across templates now give you quick access to the Edit Manual Metrics page. Project Statement reporting in the Work Tracker template is now turned off by default. The Project Risks list now defaults to sorting by Exposure in the Project Structured and Project Standard templates. The Overdue Items metric is now active and configured by default in Project Lite, Project Standard and Project Structured templates. The My Tasks, All Tasks and Columns, Active Tasks (Datasheet), Gantt Chart and All Items views in new Project Standard templates have been upgraded to support the new simple scheduler. Existing templates can be upgraded using the upgrade feature. Scorecards on new out-of-the-box templates now show new themes by default. Metric Tiles webparts pre-configured with useful metrics have been added to the out-of-the-box Project Lite, Project Standard and Project Structured templates. The Rank column has been hidden by default in the Project Lite, Project Standard, and Project Structured templates. This makes the templates a little cleaner out of the box. The % Complete manual metric in the Project Lite and Project Standard templates is now formatted to zero decimal places by default. The Project Structured template now has a new Owner Role field in the Tasks list. It is hidden by default. 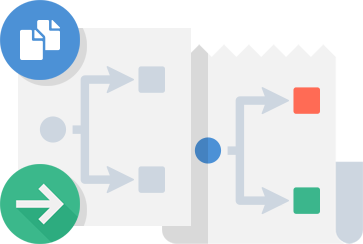 In order to better support scheduling in Project Standard, the default sorting of the Tasks - Gantt view has been deactivated, as sorting restricts task list re-organization. The Gantt Chart view in the task lists of Project Lite, Project Standard and Projects and Work Tracker now have the predecessors column active by default. The columns on the Project Standard task list have been re-ordered to reflect the new scheduler. Duration, Remaining Duration and Actual Duration have been moved up to make them easier to access. The All Items and My Tasks views in Project Standard now show % Complete out-of-the-box. The Predecessor column is now available to add to Projects and Work Tracker views. The Template Used column in the Project Statement is now hidden by default. The affects the Work Tracker, Project Office, Projects and Work Tracker, and Program Management Office templates. The Summary Task (Sync), Milestone (Sync), and Critical (Sync) columns are now hidden by default in the Project Structured template to improve readability. The EstWorkAtCompletion and DurationVariance metric indicator icons visibilty status is now set to False by default in the Project Structured template. This avoids unexpected results when indicators automatically rollup to other metrics like Health. The new item link on the Projects Metrics list will now allow you to create any of the four metric types. The Apply Metric Value option in metrics will now default to today's date. The Manual Metrics page now uses the same sorting sequence as the current view. Three scheduler related metrics have been either added or renamed in the Project Lite, Project Standard and Project Structured templates. These metrics are Duration, Actual Duration and Remaining Duration. Project Structured had its existing Duration metrics renamed and has a new Duration Variance metric added for extra control. Metric captions in reports and lists have been adjusted to fit the new naming convention. The Issues and Late Issues metrics are now activated by default for the Project Lite template. Document reports now show various document related details like Version, File Size and Checked-in status. A new color picker gives you more control over the look of your charts and scorecards. Metric scorecard text and icons are now centered for improved readability. List and Reporter icons have had an upgrade and are now clearer. The Metric History Chart and Metric Scorecard web parts no longer require the metrics list to be selected. List Query Templates can now be removed directly from the report editor by clicking the Remove link next to the template details. The New Project Status Report form now shows images for metric indicators, instead of URLs. A new report has been added to the Project Lite, Project Standard and Project Structured templates: Work - Change History. This report details recent changes made to items in the project. You can now activate or deactivate Scheduled Email functionality directly from the Project Settings or BrightWork Settings page. Scheduled emails can now be configured to allow users with 'Contribute' access to schedule report emails from the Project Settings or BrightWork Settings pages. 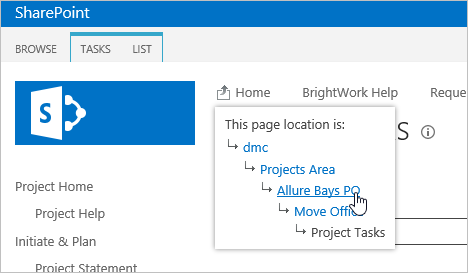 The Project Request Manager template and the Project Area now have commonly used settings available from their BrightWork Settings pages. The Projects and Work Tracker template now has commonly used settings available from its Project Settings page. Create Project now defaults to no longer showing the Project Link on the parent site's Quick Launch. Help articles now allow you to give feedback on their content. This helps us iterate and improve our documentation. The Scorecard now correctly respects the "fill in missing data points" value. The default column type for the Requested By, Reviewer and Approver columns in Project Request Manager have changed to a "People Only" column from the previous "People and Groups". BrightWork Reporter chart labels now show the correct display types. Team-Role names are now correctly computed in the datasheet view. These changes were only applied to 15.4.26.0 (or later builds). Scheduled email no longer processes groups/people that are invalid within the site collection. Print and print preview support for Google Chrome and Microsoft Edge browsers. Create Project Wizard text change. Project status reporting in BrightWork is now better than ever. We have created a new list type, Project Status Report, which features a new column mapping feature that makes it easy to bring in data from your project statement, project metrics, or the previous status report. Whereas before you might have had to delve into SharePoint Designer to customize your status reports, now everything is just a few clicks away. Templates now use the new Project Status Report list and have default reports pre-configured, but you should experiment and customize them to match the data you need to report on. These controls let you move directly up a level in your hierarchy, open a dialog to show your current location in the whole site collection, or open breadcrumbs. The new Project Ribbon feature is a handy way to see and update project data. Activated by default on new Project Lite, Standard and Structured templates, it features a quick link to the project statement, a new interface for editing manual metrics, and new ways to refresh project data and update common project settings. You can now edit your project's manual metrics right from the project ribbon, or by using the list ribbon. This is a handy way to quickly update your project status without having to search through the metrics list. Making manual metrics more maintainable has enabled us to convert more number and date values in the templates from static values to metric values, with all the benefits that provides (history, charting, reporting, etc.). Many common project settings have been consolidated to a single page. From this page you can activate or deactivate several settings like sub-site creation, showing the project ribbon, or including or excluding your project from reports. In this release, the new user experience has been improved and it is now much easier to get help and understand the interface. At the top of certain key pages in BrightWork you'll see a guidance area. This block has three quick start videos that give you an overview of BrightWork, perfect for the brand new user. As you move around your BrightWork site collection now, you'll start to notice guidance tips popping up. Any new users on your site collection will receive a guided tour of BrightWork and SharePoint. This should ease people into the new environment and help acclimatise them to their workspace. We also introduced a new help window to give you help right on the page. Just click the ? tab on the right hand side of the screen to open the panel. Note: BrightWork administrators can disable these features and return to the older help interface by deactivating the "Enhanced Help" site collection feature. We recommend you keep it activated. BrightWork templates have been refreshed and standardized. The out-of-the-box templates are now more consistent across the various templates and updated to include new features. BrightWork reports for the out of the box templates now exist in a new folder, called Gallery, in the BrightWork Reporter Library by default. This means that you can now make a change to a report used by a template and have the change instantly reflected in all of your templates and web parts. This feature removes the hassle from updating many reports with the same changes. Note: The Reporter Gallery folder is active for new templates only. Please see the 15.3 upgrade article for details on using it in existing reports. "Create a Project" is now disabled by default. This option can be re-enabled using the Project Settings page. More manual metrics have been included by default. The Project Statement link has been removed. Use the new Project Ribbon to access your Project Statement. A link to the Project Metrics list has been added to the Quick Launch. The Tasks by Status chart has been added to the home page. The Project Metrics list's Active Items view has been updated for better readability. A Tasks by Status web part has been added to the home page. The 'Add Goals' tile has been removed and the remaining tiles reordered. Improved performance when syncing between Microsoft Project and tasks lists with a large number of tasks. The Work Summary chart on the home page has been replaced with the Tasks by Status chart. Email and Wiki links have been removed. "Post Mortem" has been renamed "Lessons Learned Survey" for clarity. The "Update Quick Launch" and "Add Goals" tiles have been removed and the remaining tiles reordered. Work and Cost now show in the Closed Items report. Date Due column added to Projects and Work Tracker template issue forms. Quick launch items have been re-organized for consistency. Removed "Update Quick Launch" promoted link tile. Updated the My Activity report to be consistent with other reports. Project Areas no longer default to using the Project Cache out-of-the-box. The new Project Status Reports list now includes the Title in the default view. Resource reporting has been standardized across templates. The resourcing page "Resourcing - Export" is changed to "Export All" for greater clarification. Tip! This is a great way to get the data from your project in a single file. Metrics and Scorecard web part default settings have been tweaked to cover more scenarios out-of-the-box. Project metrics can now be synced using Design Sync. Web parts on common BrightWork Pages can now be synced using Design Sync. Creating a project now supports InfoPath list customizations. Create a Project can be enabled or disabled directly from a project using the new Project Settings page. List Item Reports and Resource Reports can use alternate row highlighting for emphasis. Edit the reporter web part settings to activate this. An information event is now logged when design syncing a change to an existing BrightWork Page. Better support for number formatting in charts. Friendly and Standard date formats now sync correctly using copy project. Design syncing no longer creates sync log messages around the theme syncing when it has not been changed. Printed documentation no longer includes the page URL by the side of embedded links. Viewing a metric version history item now displays the correct information. 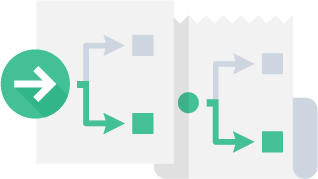 Simplified the conditions for filtering Projects in Trouble and addressed a filtering issue. Metrics Scorecard web part no longer adds the current month if no values exist and Fill in missing data points remains unset. The Created Date of Metric History Chart versions now always return as the local time instead of UTC time. The "All Issues" report has been made obsolete and replaced with an improved "All Issues" report. Risks metric items now use the "Active items" view instead of the "All items" view. The Navigate Up icon has been removed from new site collections and superseded by the Navigation Helper Controls. It is still available as a site feature. On manual metric forms, when entering a percentage value for a metric, previous versions required values in decimal format: 0.5, 0.76 etc. Now you enter the whole number, e.g. for a value of 50%, enter 50. Project Link and Project Link Icon columns no longer show in Work and Issue Reports if there is a Parent Project column in the report. The new Project Request Manager template gives you the tools to handle project requests from draft to creation. You can track the progress of a project through the chain of drafting, reviewing, ranking and approving. At any point you can send the project back a stage to allow for further refinement of the project request. This replaces the now deprecated Requests Area. For the purposes of reporting, Project Requests are treated like Work and so will appear in work and issue reports and other similar reports. The Projects and Work Tracker template is for tracking several projects and their tasks, issues and documents in a single site. This is a simple way to manage several small projects without having to create separate sites for each one. The template uses a new Project column and you may wish to change your reporting from grouping by Site Name to grouping by the Project column for consistency. If you're an existing user of BrightWork, you will notice that the help has changed! We have rebuilt the help from the ground up to be faster, friendlier and fully mobile responsive. There is now a new FAQ section where you'll find quick step-by-step guides and short videos helping you with common tasks. And if you're looking for more detailed information, the new Go Deeper section gives you all the technical knowledge you need to succeed with BrightWork. You should also note that the BrightWork Help now comes in two flavours: Online and Offline. The Online version is enabled by default and will contain all the latest articles, while the Offline version should be used if you do not have internet access. You can toggle between these two versions by using the option in the More Help drop-down menu on your local Getting Started page. All Gantt, Scorecard, List Charting and Metric Charting web parts can now use the ribbon for easier access to the configuration and refresh controls. The BrightWork Reporter, List Chart and List Gantt web parts have a report information icon in the header. This popup window shows details about the report or web parts. You can now enter a manual metric in the past by specifying a date. This value is picked up by the Metric Scorecard and Metric History Chart. An example use for this feature is if you need to enter total sales for October but it is now November. You can use the Apply Metric Value option to apply the metric to a date in October. Numbers on metric history charts now show two decimal places. The Metrics History Chart can now show as a Bar or Column type. You can now export list data from a specific view. This is particularly useful if you want to move list data from one project to another, such as moving only open anomalies across projects. This feature is also useful if you wish to only export selected metrics from a project site, as you can set up a filter to only include the metrics you want and export from there. When you import a list, you can now include users. The Project Standard template now includes metrics for Cost, Actual Cost, Estimated Cost to Complete, and Planned Cost. These are inactive by default. BrightWork Help is now available by using the Site Settings menu. Project Cache items no longer appear in the recycle bin. If a Quick Launch Project Statement link has been modified and contains '?id=', creating a new project will now retain the full link. When creating a project from a template, or using the Copy Project feature, if a Data View or Data Form web part exists, the homepage design of the copied project no longer resets to the out-of-the-box default. The Project Requests list (790) has been deprecated. The new Project Request Manager template uses a different list number: 737. The Project Request area has been removed. Instead, you should use the new Project Request Manager template for your project requests. Many obsolete reports have been made ready for removal in the next release. If you are still using them, you are advised to change them to the appropriate new version. You can now schedule BrightWork Reporter Emails from the Reporter Ribbon. Previously, this required administration access to the server. The new Project Cache report data source, available in BrightWork Reporter, ensures that cross-site Project reports load almost instantly. The Project Cache data source is primarily designed as an alternative for reports that used the All Project Summaries report definition. The new Report Information Window allows users to see information about the current report from the ribbon, such as whether the report is personal or shared, whether the report is real-time or using the cache, or which filters, if any, have been applied. BrightWork Version number now available on the Site Collection-level BrightWork Settings page. Issue Reports now include Project Tracker items that have had their Issue Indicator selected. The Issue Description column from non-Issue items (e.g. Tasks) and the Description column from Issue items are now mapped to a single Issue Description column in Issue Reports. Web Name changed to Site Name in the BrightWork user interface. Links added via the Recent heading on templates are no longer included in Design Sync or Copy Project. Projects in Trouble (created using the All Project Summaries report). This report is available on: new Project Office templates; new Project Management Office templates; new empty Portfolio sites; and new Project Areas. The following features are no longer supported or available in BrightWork for SharePoint 2013. The Project Schedule list has been deprecated and withdrawn from the BrightWork User Interface. The list will continue to function in existing Project Schedule-based projects and templates, but it will not be possible to add the list (even via the list template gallery) to a new BrightWork template. A number of BrightWork Reporter reports have been marked as obsolete. These reports will be removed in a later release. The Project Lite; Project Standard; Project Structured; and Work Tracker templates now use the new SharePoint Project Tasks list that offers a better user interface and more reliable and improved syncing with Microsoft Project Professional 2013. The extra Column Mapping between Microsoft Project and the Tasks list in the Project Structured template that used to have to be done on all new Project Structured templates is now automated. The Project Lite; Project Standard; and Project Structured templates now include the new SharePoint Timeline and Project Summary (called Task Summary in BrightWork) web parts. The Timeline web part shows the Task list items added to it in a time line. The Tasks Summary web part displays summary information about the contents of the Tasks, such as the next task due and how may days till it is due and the number of late items. It also includes a Timeline. Type your drop-down text here. BrightWork sites include the Navigate Up feature that was hidden in SharePoint 2013. This feature is activated by default on all sites in a BrightWork site collection and can also be activated on any site on the server on which BrightWork is installed. BrightWork Copy Site continues to offer advantages over the native SharePoint Solution Gallery. With the Solution Gallery, the below items maintain a relationship with the original site and do not get updated to point at the new site. With BrightWork Copy Site, they get updated. The Getting Started tiles are now served by the Promoted Links list. BrightWork for SharePoint 2013 uses the new SharePoint Farm ID based licensing system. BrightWork site collections created on SharePoint Server installations have full Newsfeed integration. The Project Schedule list has been deprecated and will be withdrawn from the next version of BrightWork on SharePoint 2013. This means that the IT Project Manager w Schedule and Business Project Manager w Schedule templates have also been withdrawn. For users who want an automated work breakdown structure, we recommend using the Project Structured template in conjunction with Microsoft Project Professional 2013. Certain BrightWork legacy list types from BrightWork on SharePoint 2003 are no longer supported. These lists have not been used in our templates for many versions so any remedial action is unlikely to be required. The list types that are no longer supported are detailed below. These list types were replaced with list of the same name in BrightWork for SharePoint 2007 - see here for all supported list types. SharePoint 2013 does not support list summary pages and therefore all BrightWork lists no longer have them. The Summary Items Gantt report is no longer available in the Project Structured template. This is due to the structure of the new Project Tasks list. The Metric Scorecard web part enables you to display the history of multiple metric items from a specified Metric list. The Scorecard web part can also show a trend icon that indicates if the Metric has recently changed for better or worse. The Metrics Scorecard web part has been added to the Project Dashboard tab on the Project Office; Program Management Office; Project Lite; Project Standard; and Project Structured templates. The Projects Tracker site template has been withdrawn and a new Projects Tracker list has been added to the Project Office template. This means simpler hierarchies and high-level project reporting where and when you need it. The new Projects Tracker list is also available as a list template that can be added to any BrightWork site or template. Reporting has also been updated to better support the Projects Tracker list. A new column type called Project Link is available in all Project Summary reports - see below for more information on the Project Link column. Existing Projects Tracker sites will continue to function as before; however, we recommend that you migrate your data in existing Projects Tracker sites to a Projects Tracker list in a Project Office. A new type of column called Project Link has been added to reports to make reporting on items in a Projects Tracker list easier. The Project Link column can discriminate between projects in the Projects Tracker list and projects that have their own site. The column is available either as a text link, called Project Link or as an icon, called Project Link Icon. This column is now used by default in all Project Summary reports. The Disable Link Column feature, previously only available in List Item Reports is now also available in Gantt and Resource Reports. The BrightWork Server Gallery menu on the Reporter Settings page now shows the most commonly used reports first. The most commonly used reports have also had the Template prefix removed from their names. When creating a Template or a Portfolio, the URL name field is automatically populated based on the site name. This feature was not enabled on the Create Project page is it would have meant an increased likelihood of breaching the 256 character SharePoint URL path length limitations. The Project Office; Project Lite; Project Standard; and Project Structured templates now have Getting Started tiles on the Project site home page. The purpose of these tiles is to make it easier for new Project Managers to get up and running with BrightWork and to help with setting up certain templates. They also give experienced Project Managers a project ramp-up checklist. Removing the web part that delivers these tiles is easy. The grey tiles on the Project Office and Project Structured are there to help with initial setup of the templates and should be removed before using them to create sites. BrightWork Reporter now supports reporting on folders (e.g. Discussions, Document Libraries etc.). This option must be enabled in the Report Editor. It is now possible to report on SharePoint Groups in reports that have Presence enabled (the default setting). It is now possible to mark a site so that it's Project Statement is not included in reports but other list items in the site are included. You might want to do this with non-project sites in the hierarchy, for example, a site created to manage every day work items. It is now possible to filter (e.g. show only projects with an In Danger Health status) and sort on Metric Status Indicators. To facilitate this, a number of columns have been added to the All Project Summaries report. This report displays all risk items from the BrightWork Risks list, sorted by 'Exposure', 'Rank', 'Priority' and 'Status Indicator'. It is available from the Quick Launch on the Project Office; Program Management Office; Projects Area; and Project Portfolio. This report uses a shared filter to shows only the projects where the logged in user is the Project Manager. It is available from the tabs on the Project Office home page and is created from the All Project Summaries report. The four main BrightWork templates(Project Lite; Project Standard; Project Structured; and Project Office) have had some subtle enhancements and improvements added to make them all the better for project management. Most of these improvements are described above; however, this section is just to highlight the improvements to each template. Metric simplification - some metrics have been removed and others have been deactivated - review the Supplied Metrics topic to get a better understanding of how they now work. We are delighted to add new and exciting features with this release of BrightWork 11 for SharePoint 2010. The features introduced in BrightWork 11 require no specific action - they will all automatically be available to you. If you are upgrading from a version before BrightWork 10, you should also review Adding BrightWork 10 Features. The Template Design Sync also allows you to remove unmatched design features from the site. For the full list of design changes that can be synced, see the About Design Sync topic. 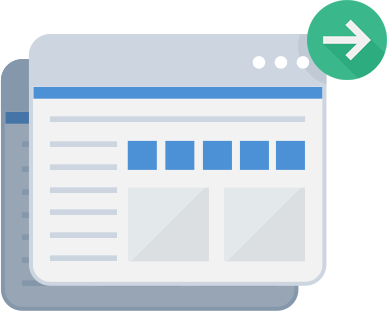 To support the Design Sync, you can also determine which sites were created from a template. The new Reporter Tools ribbon introduces a range of easily accessible features, activated by just clicking on a report. The refresh button enables you to override caching settings to ensure the version of the report you are seeing is the most up-to-date. It also enables you to refresh a report without having to refresh all the other elements on the page, such as other reports and web parts. Users can now create their own version of a report and set it up the way they want to. The personal report is saved and users can toggle between the default shared report and the personal report. The new BrightWork Reporter Filter Editor enables you to create cross-list and cross-site report filters as easily as creating a filter in a list view. If a report has Grouping and/or Totals enabled, you can temporarily turn them off. All of the BrightWork Reporter sharing options are now instantly accessible via the Reporter Tools ribbon. Users with the correct level of access can configure the shared report (i.e. the report everyone sees) with the same options available in the Personal Report section, including creating cross-list and cross-site report filters. List Item and Resource Reports now have in-report dynamic column sorting that enables you to sort reports alphabetically; numerically; or chronologically. BrightWork are delighted to announce that workflows created with Nintex Workflow 2010 are supported in the BrightWork copy site processes. We are delighted to add new and exciting features with this release of BrightWork 10 for SharePoint 2010. Most of these new features are automatically available and require no action from you. See Migrating to BrightWork v10 for information about getting the new features into your existing templates. The new Project Metrics list gives you the capability to easily define, capture, track and report on metrics for single projects or for multiple projects in a Project Office. BrightWork templates come pre-loaded with sample metrics to give you a fast start. The metrics can be automatically calculated or manually entered. You can define warning and danger ranges for particular metrics and associate icons with these ranges. The Metrics History Chart graphs the history of number metric by day, week, month, quarter or year. BrightWork Reporter Project Statement reports can include metric data. The Project Lite, Project Standard and Project Structured templates have been finalized and added to the Site Definition menu in the templates area. The Project Office template has also been updated. These new templates all contain a Project Metrics list pre-populated with Metrics tailored to their level of complexity. The Project Standard and Project Structured templates contain a Project Status list for maintaining a project snapshot history. The Project Structured template leverages and extends the Microsoft Project Professional 2010 to SharePoint sync capability. The new Web Part Settings section on the BrightWork Reporter, List Chart View and List Gantt View web parts means you can now specify the report title and the report chrome type from the settings page (as opposed to the web part tool pane). BrightWork Reporter now enables you to open and edit items in the pop-up dialog. This means you can view and edit individual list items and stay in the context of the page or report you are on. Most importantly, this works across sites and lists, meaning you can edit items in different lists and sites from the one location in a site collection. This feature has been enabled by default in many of the default template reports. The BrightWork Reporter, List Chart View and List Gantt View web parts now report off the External List. This means you can display content that comes from Business Connectivity Services (BCS) Enterprise content types in your reports. This change also means that the web parts can report on the new SharePoint 2010 columns such as the Decimal column in the external list, the Managed Metadata column, the Recurrence and All day event columns, the Rating column and the Workflow Status column etc. The new Number Icon Column allows you to map image files to values in a number column in a BrightWork list. For example, you could use it to let you know when the project is over or under budget. You can display the icon on the list item, in views and in BrightWork reports. When editing a report in the Report Editor, the report name is now displayed at the top of the page. BrightWork Reporter can now report on Workflow Status and Moderation Status columns. The new Custom X Fields style feature means BrightWork Reporter Charts and the List Chart View web part now include the ability to assign a color to a value returned by a chart. For example, many BrightWork lists include Red |Yellow | Green columns. Previously, the colors assigned to these values depended on the selected theme - now you can ensure that they match - see example. Resource reports now include the ability to specify the color used to indicate over-allocation in Resource reports. The BrightWork Create Project; Create Template; and Create Portfolio pages have been rebuilt to give greater reliability; flexibility and functionality. The main change to be aware of is that you can specify the lists and libraries whose content (i.e. list items and documents) you want to include. This means you can copy a site and opt to include the essential default content such as BrightWork pages and tabs but exclude items from lists such as the Project Schedule or Project Tasks. For a more in-depth description, please seeAbout BrightWork Copy Site. Users of certain non-Outlook email clients (e.g. Lotus Notes) occasionally experienced issues when clicking on links in emailed reports. This was due to spaces in the URLs. These spaces are now encoded in the same as SharePoint alerts, e.g. with a '%20'. The Project Office Portfolio template is now available as a site definition template from the Portfolios area. Gantt reports with Exclude items when the 'Start Date' is not set selected, and no dates specified in any item, now display all items. The main benefit of this is that the Project Summary (Gantt) reports, on the home pages of sites created using a Project Schedule-based template, are always populated with data - clickherefor screenshots. The % Complete values returned in Project Schedule summary tasks are now the same as would be returned by Microsoft Project. BrightWork are delighted to add new and exciting features with this release of BrightWork Release 9.0 for SharePoint 2010. BrightWork BrightWork has been fully ported to the new SharePoint 2010 platform. You can now specify a list of sites to query on the Reporter Settings page. This means you can have a report in a rollup site that is limited to only report on certain sites in the hierarchy. The List Gantt View web part Display Hierarchy option means that you can display a Microsoft Project 2010 plan synced to a SharePoint Project Tasks list in a single Gantt view (the native SharePoint Tasks list does not have the option to view the entire plan in a single Gantt view). Choice indicator icon columns now display the correct icon in the List Gantt View web part (previously only text was displayed). You can now disable the link column in a List Item Report. Managing reports in environments with many sites, lists and custom reports can occasionally be an arduous administration task. With that in mind we have added two system reports to BrightWork Reporter that will make this a much easier task. The Report Profiler displays a report on all the sites and lists queried by an instance of a report, including how long individual sites and lists take to query. This can assist you when you are trying to improve the performance of a report. The Reporter Locations report, run from the BrightWork Reporter library, details every location the specific report is used in the BrightWork site collection. This means you can establish where a particular report is being used before deleting or editing it. The home page of a newly created BrightWork Site collection has been updated to give some color and out-of-the-box functionality. Portfolios now allow you to include the sub-sites of a site added to a portfolio. This means that you can add a Project Office to a portfolio and all its existing sub-sites and any subsequent sub-sites will automatically appear in the portfolio. You can now use the BrightWork site creation form to create a BrightWork site from a BrightWork site added to the Solution Gallery. This means you can allow users to create project sites with lower levels of permission than is normally required to create a BrightWork site. The Title you enter when creating a project or template is now also passed to the Project ID (in the Project Statement) and the Title of the Project Schedule Summary Item (if a Project Schedule list exists in the site). The optional Description you enter when creating a project or template is now passed to the Description column in the Project Statement. To ensure best performance you cannot close certain BrightWork Web parts - you must delete them. This is because a web part that is closed continues to perform (e.g. execute queries etc). Reports - links to the BrightWork Pages library that contains the individual report web part pages. IT Project Manager with Schedule and Business Project Manager with Schedule - the Control heading on both of these templates points to the default All Items list view page for the Project Schedule.